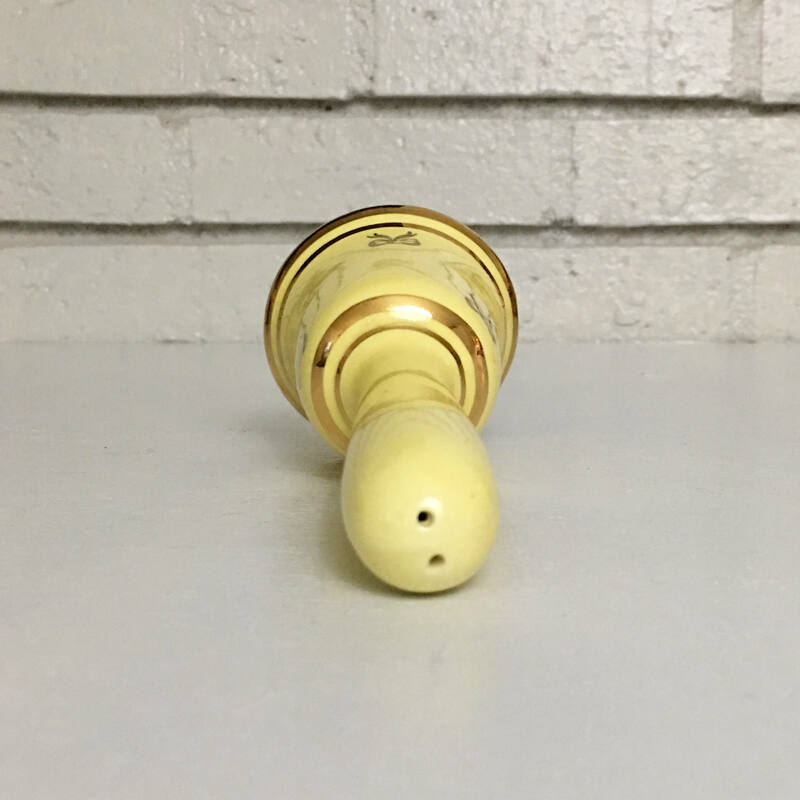 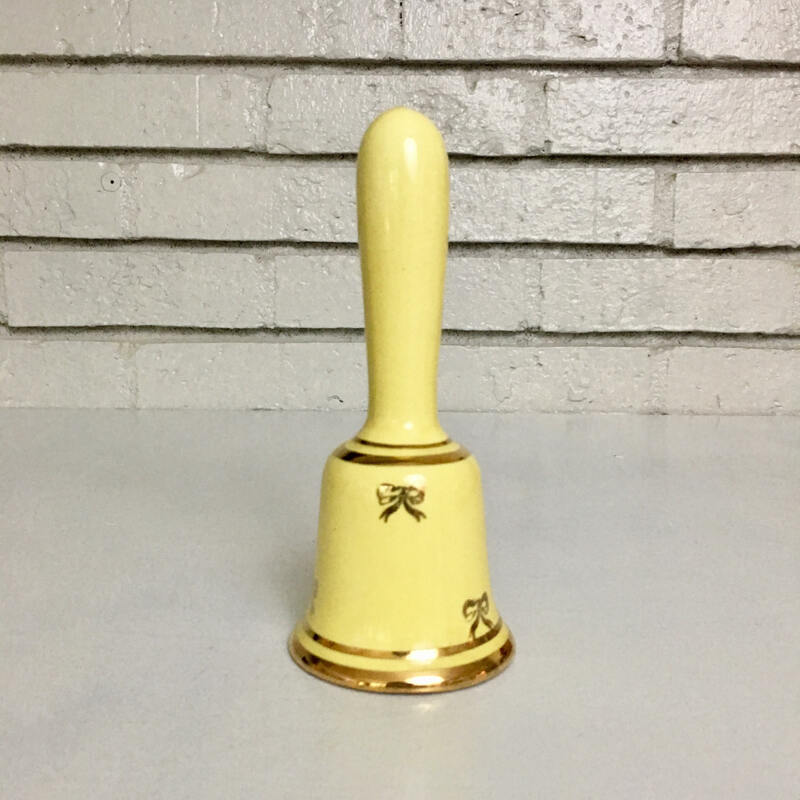 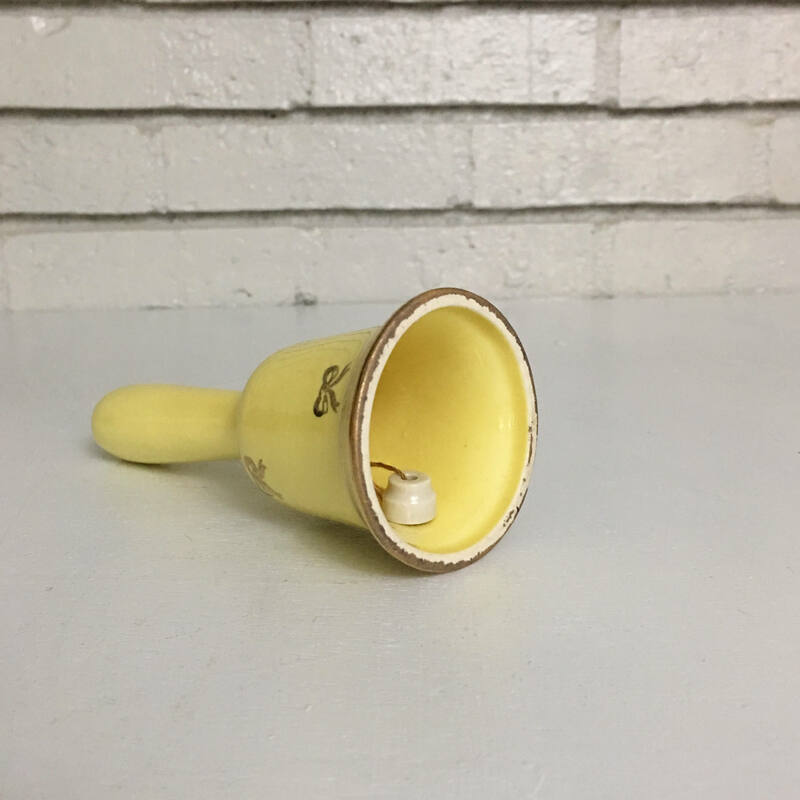 Sweet vintage ceramic hand bell – painted in a butter yellow and detailed with metallic gold bows. 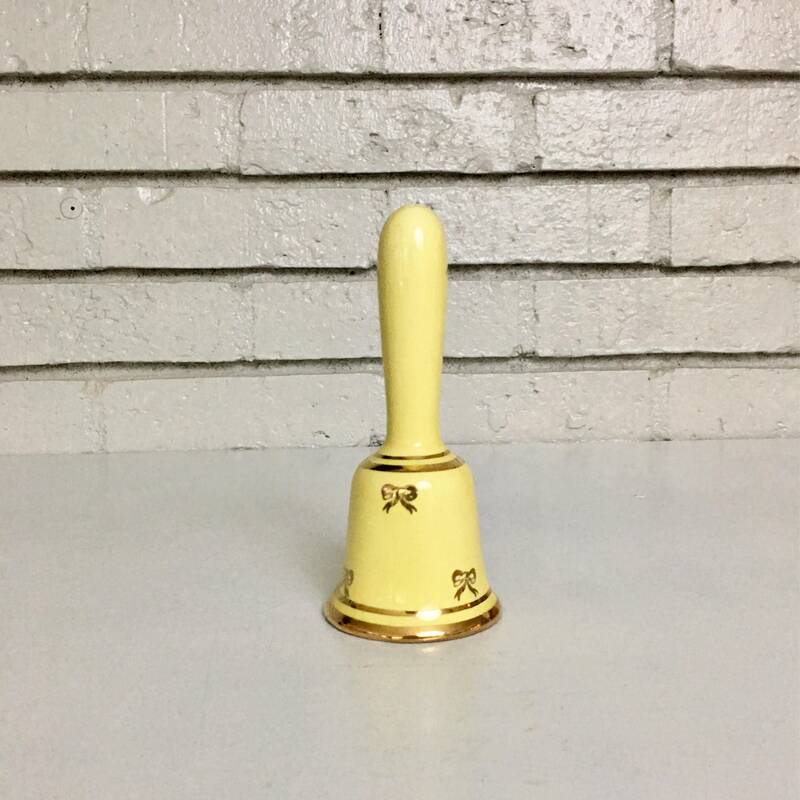 A dainty gift for a new baby, perfect for the shelf or for use. 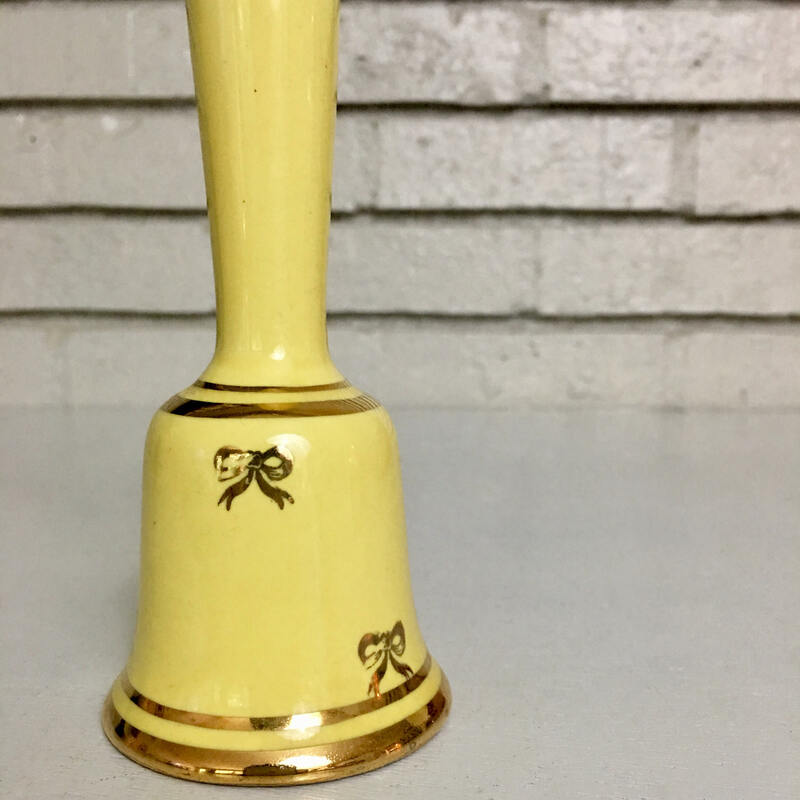 Some slight fading on the gold bows, detailed in the above pictures.